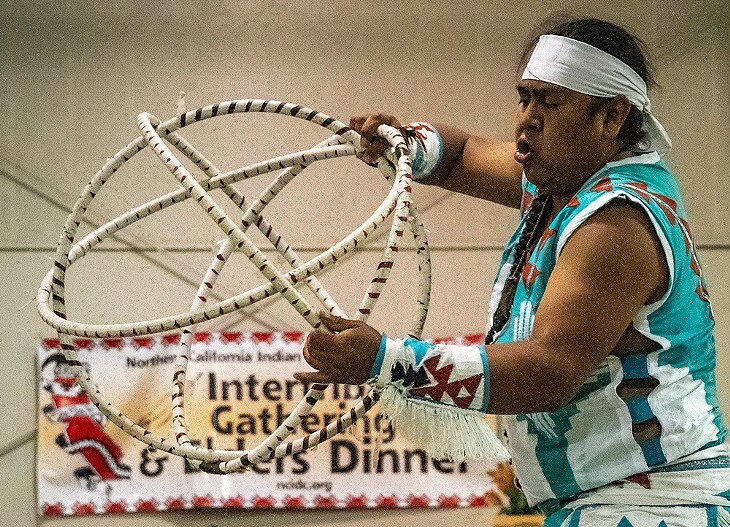 A member of the Tezkatlipoka Aztec Dance and Drum from San Jose performing at the Intertribal Gathering on Saturday. 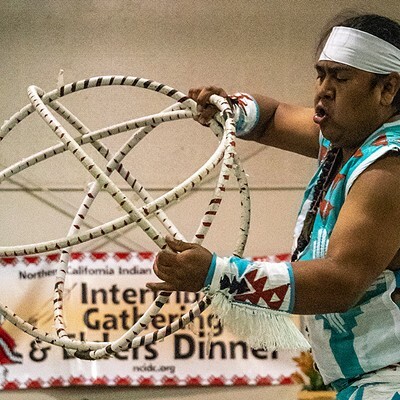 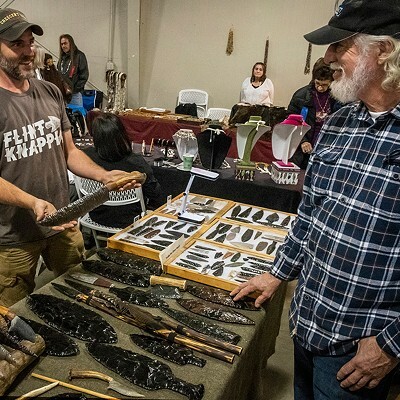 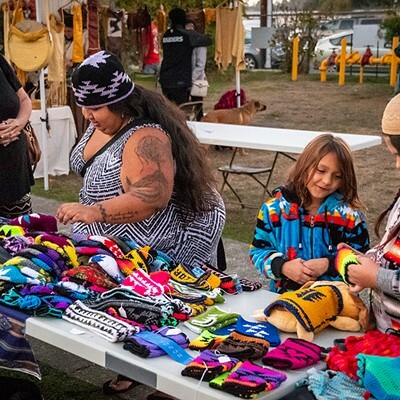 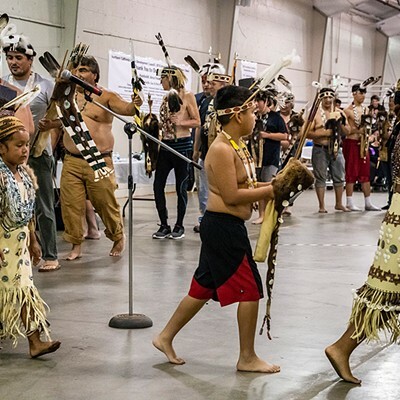 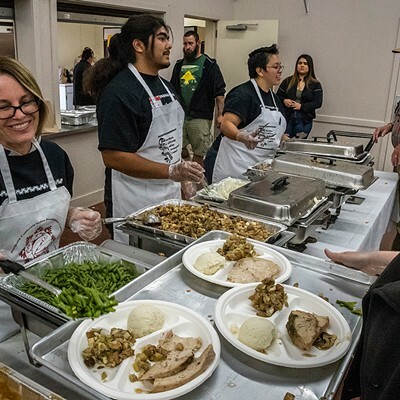 The 37th annual Intertribal Gathering and Elder Dinner attracted another large crowd to the Redwood Acres Fairground in Eureka on Saturday. 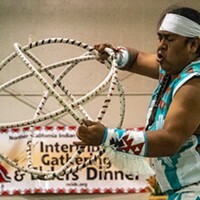 Sponsored by the Northern California Indian Development Council, Inc., the event honors veterans and Elders in ceremony and offers a friendly social experience over a turkey or salmon dinner provided at no cost to all elders over 55, regardless of ethnicity, with a nominal charge to other age groups. 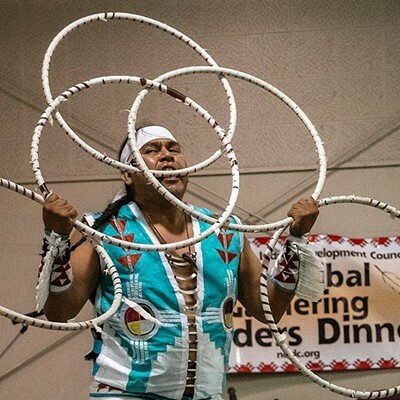 If you missed the dinner, fry bread and buffalo burgers were also for sale, as well as a wide array of American Indian arts and crafts. 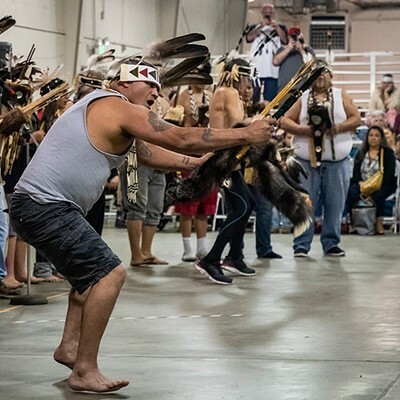 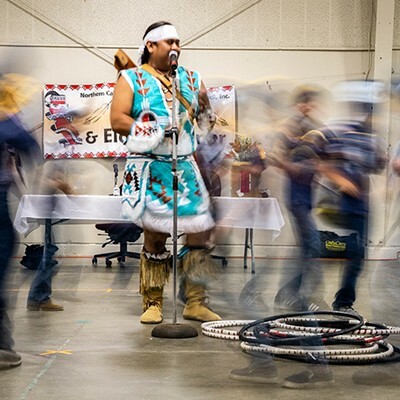 Cultural performances included Native singers, the Red Tail Hawk Drum Group, and dance demonstrations by the Kibby Family Fancy Dancers, the Northern California Brush Dancers, a Paiute hoop dancer and the Tezkatlipoka Aztec Dance and Drum group. 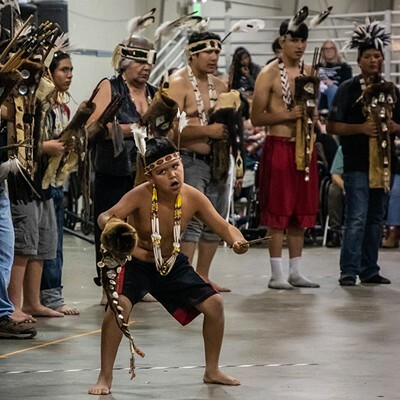 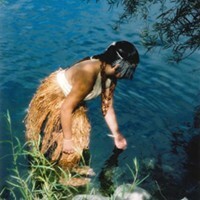 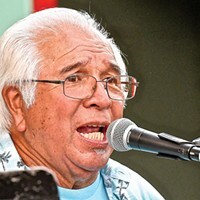 The day ended with a performance of the Tolowa Honoring Dance. 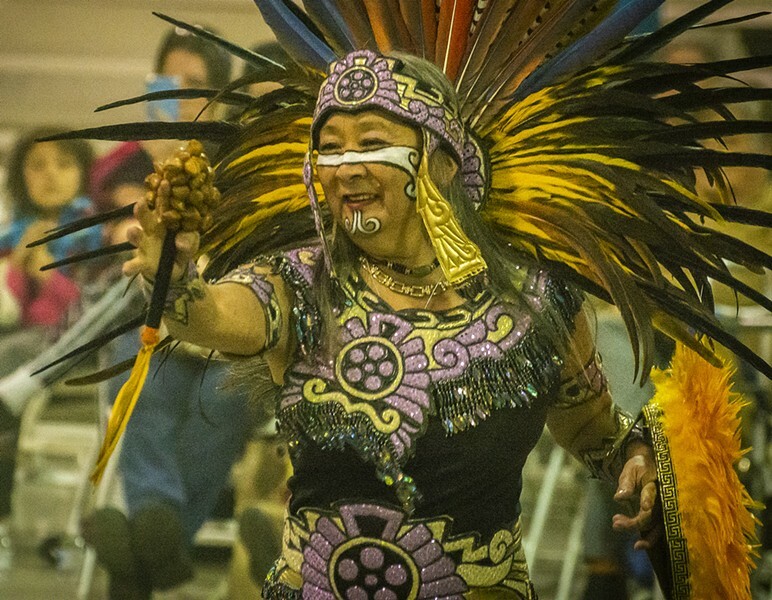 Enjoy highlights of the day in the slideshow below.